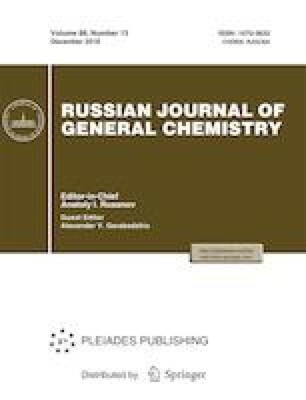 The possibility of reduction of chromium(VI) compounds by solutions of titanium(III) chloride in hydrochloric acid has been investigated. It has been shown that the considered reagent possesses strong reductive properties over wide pH range. It has been proved that the efficiency of the reduction of chromium(VI) compounds with titanium(III) chloride in neutral medium is much higher than that when using sodium sulfite. It has been noted that in addition to the reduction properties, titanium compounds act as a highly efficient coagulant, thereby increasing the overall purification efficiency of the wastewater. Original Russian Text © E.N. Kuzin, P.I. Chernyshev, N.S. Vizen, N.E. Krutchinina, 2018, published in Ekologicheskaya Khimiya, 2018, Vol. 27, No. 5, pp. 253–257.